Put getDriverLocationId request in the separate Thread Group. My expectation is that mobile client application should send location all the time in intervals you can set using Constant Timer. You can you use for instance the Loop controller in which case you can repeat the request for a number of times. Or the While Controller which allows you to run until the condition in the while is no longer true. For more options look here. You would likely also use some timer to wait between every consecutive request. Not the answer you're looking for? 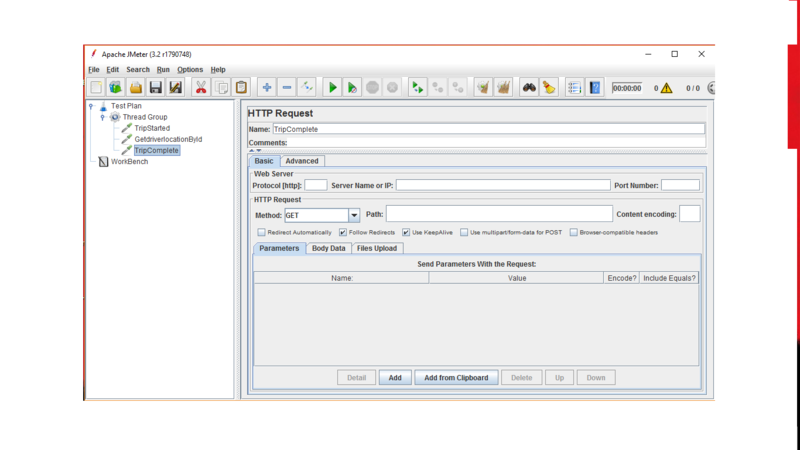 Browse other questions tagged jmeter load-testing jmeter-plugins rest-api api or ask your own question. Am I missing anything professionally in my JMeter plan?